Technology and digital revolution have progressed to the point that many traditional aspects of each of every industry have been challenged. The deeper inroads that digitisation is making in each industry, the more each of the industry has been fundamentally changing. In the process, a vast amount of unstructured data is being generated with information synthesis happening on a scale that was previously unthinkable. This new method of data-information generation and management has brought its own challenges and opportunities for the healthcare industry. 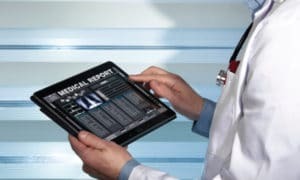 The electronic recording of health or digitisation of health information (records/details), as it is called, can enable healthcare delivery systems break past the brick-and-mortar constraints of traditional medicine, which require significantly large amount of capital expenditure. 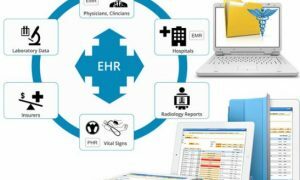 EHR digitally registers and records patient information with strict security and confidentiality compliance with multiple use cases for the future. By creating and facilitating new digital infrastructures, the new age healthcare systems can ensure a more efficient service delivery at lower and affordable prices that can overcome the challenges of geography and other traditional barriers. 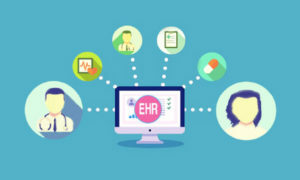 EHR provides an interoperable central repository of database on patients which is system and device agnostic, thus facilitating anywhere healthcare benefiting both patients and caregivers. The consultant physician can get access to information related to patients allergies, medication and past diagnostic records, which can aid decision-making and eliminate chances of error, thus providing a holistic diagnosis and treatment than treatment on presenting only conditions. 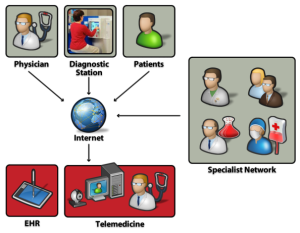 For patients, the treatment can be more effective with avoiding duplication of tests and procedures for which historical data is present. Vikas Ranjan, Co-Founder, Medimojo is a healthusiast with passion for making a difference, a start-up enthusiast, and a believer in technology as a life enabler. He is the founder of Medimojo, a health data analytics platform and a patient-centric, portable participatory personal health record (PHR) platform, which generates analytics from user data to predict and prevent diseases. We aim at providing longer, healthier and disease-free life to users.